The question arises, why you would want to hide or unhide your Drives ? 1.>> Hidden drives are less prone to virus attacks, because they are not accessible directly. 2.>> You may want to hide your important data from other users. 3.>> You may want to encapsulate your recovery drive. Hiding or unhiding the drives in windows is easy. You can use Command prompt to do this using DISKPART tool. >> Open Command Prompt by typing "cmd" in run or search in start menu. >> Now Type "list volume". >> Now the selected drive will not be visible!! and is safe from unauthorized access. 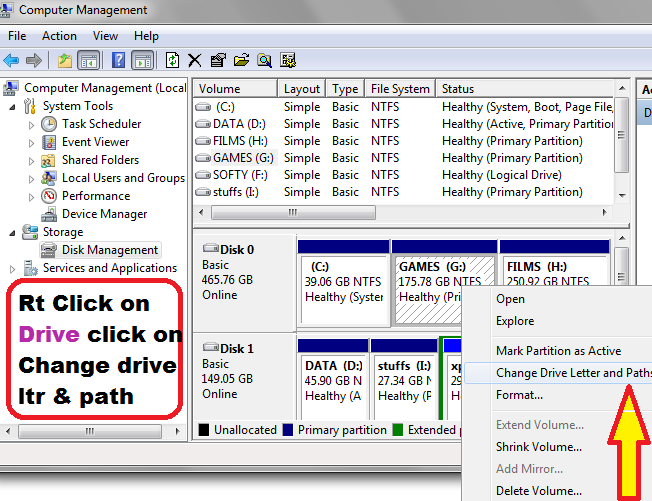 Another, simple trick to hide your drive is rt click on My Computer → Management (or if Computer Management is not opening and giving you some error, then on the Run window enter compmgmt.msc and press enter ) it will open Computer Management on the left side Tree click on Storage → Disk Management and the is rest given below. 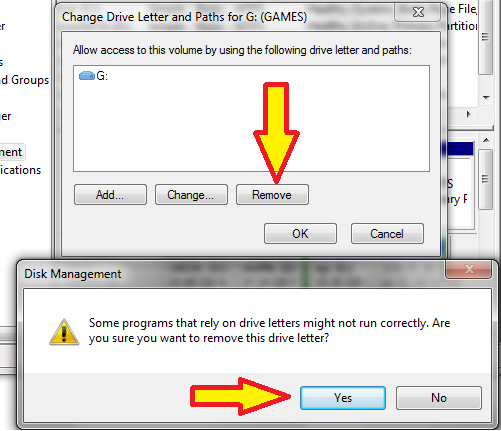 then a window opens, to add, remove or change the letter of the selected drive. this drive. If you are sure that no program is associated the drive then you may continue. That's it ! your Drive is now hidden and believe me nothing will happen to your Data. And now suppose you have to access your Drive just assign the Drive Letter and the Drive is ready for your use again .